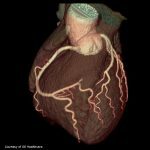 What is a CT Coronary Artery Calcium Heart Scan? The coronary artery calcium heart scan is a CT scan of the heart that looks for areas of calcium in the arteries that supply the heart with blood. The amount of calcium detected is then added together to give a score. The more calcium there is, the higher the score. Calcium signifies calcified plaque in the heart arteries. Plaque is the substance that leads to blockages and when it bursts, known as plaque rupture, it is what leads to a heart attack. The point of the CT coronary artery calcium heart scan is to determine the cardiovascular risk of a person. The score is typically obtained in people who are otherwise healthy and don’t have symptoms to try and assess their risk. What Do The CT Coronary Artery Calcium Scores Mean? What Do The CT Coronary Artery Calcium Scores Mean In Terms of Risk? Many studies have examined in depth the prognostic significance of coronary artery calcium scores and their role in assessing risk. These are some of links from which the figures below were derived. A calcium score of 0 is felt to be very low risk. The predicted chance of an event across studies is around 1-2% over 10 years. Of course that places people with a calcium score of zero in a low risk group. A calcium score of 101-400 signifies intermediate risk of an event. The predicted 10-year chance of an event is between 13-16%. A calcium score of >400 signifies high risk of an event. The predicted 10-year chance of an event is between 22-29%. A calcium score of >1000 signifies very high risk of an event. The predicted 10-year chance of an event is 37%. In general, patients with diabetes are considered to be at higher cardiovascular risk than patients without diabetes. Patients with diabetes and a coronary artery calcium score greater than 0 are at higher risk than patients with similar scores and without diabetes. In patients with scores of 0, the risk is low even if patients have diabetes. What To Do With Calcium Scores In Patients Without Symptoms? The question often asked is should patients with higher than usual calcium scores have further testing such as stress tests. The higher the calcium score, the higher the risk of a stress test being positive. In patients with lower calcium scores and no symptoms, stress testing is generally not considered appropriate. In patients with higher scores, i.e. >400, stress testing may be more appropriate in cases. In general there is no good evidence to take patients with high calcium scores for invasive tests such as heart catheterization. Have always eaten right, exercised, no tobacco, etc. What to do?? I am a 47 yr old female. Not overweight. Not a smoker. No high cholesterol. No high blood pressure. I eat right and I exercise. I do however have type 1 diabetes and a family history of heart disease. I had calcium screening done on a whim and my score was 535. My stress test was normal. Had angiogram which showed my LAD was 80% blocked with hard concrete calcification! Had to return to the cath lab after being on special meds for 2 weeks when they performed rotablation and put 2 stents in my LAD. Dr said I would’ve been dead in a year if I didn’t find this! Everyone, especially women and those with genetic disposition to heart disease should have this basic screening. It could save your life! This really frightens me. I am a 60 year old female my calcium score came back at 785….. So hard to understand what needs to happen to feel better. I feel worse since I found out then I did before. Any words of your experience are greatly appreciated. Connie: After recently losing my little sister at age 46 who was a non smoker and zero alc. my primary referred me. Today my results came back as ZERO. I am 50 and a former smoker. I drink alcohol. I do eat right and exercise which is something my sister did not do. While I appreciate this test, I do see some consequence to having it. I could walk out to my mail box right now and have some freak accident and be gone. Having anxiety about your results do not help your heart. Breathe the fresh air, enjoy the sun and your family and put this result away. Enjoy each moment and when God is ready for you at least you lived your life with joy and not the constant feeling of doom. After reading these comments, I must say that we all reach the end of the road at some point. Not trying to be morbid, just facing facts. We all die. The thing is HOW DO WE LIVE with the time alotted us? How can we live if we’re in constant fear of dying? I know….easier said than done. But what I am TRYING to do is do the best I can to take care of myself by taking advice of the experts, finding ways to make the changes fun (i.e. ; hate exercising but love music and dancing) and forgetting about the clock running out (it has done so for EVERY person in history–so why should I sweat it?). Take care of yourself, be prepared (will, advanced directives, instructions for belongings, tell your loved ones things so far unspoken etc…), then relax and ENJOY LIFE. Thank you for your comment regarding knowing your score. I have a mild to mid range score and I agree that knowing this can contribute to anxiety as compared to not knowing. As you stated I could die in a myriad of situations other than heart attack. I am all for making lifestyle changes but I’m not going to stress over my test score. No problem, there is a simple way to lower your score significantly. You need to take Vitamin K2 in the form of MK-7. There is no toxicity with taking large quantities of this supplement and it will safely remove the plaque from your arteries. The key is to take it with an organic coconut oil for better absorption. I take Superior Source K-2 with 300 mug of MK-7 which quickly absorbs by placing the tab under your tongue. Your doctors will not suggest this action because it is outside of conventional medicine who only believe in prescribing drugs like statins which can help with lowing LDL or triglycerides but do nothing to remove calcium or plaque from your vascular pathways. Additionally, you can also hedge your health bets by drinking 5 grams of l-arginine in a half glass of water to promote nitric oxide development in your blood. This action will work to increase your blood vessels and blood flow and works to make your vessels more soft and smooth. You can do this 1 – 3 times a day. Lastly, there is some antidotal evidence that vitamin C can help. You may want to consider a strong form of C known as Camu Camu which is far more potent than the normal off the shelf varieties. If you have no family history of anyone dying of cardiovascular disease, then it may not be genetic. If you have taken Vitamin D supplements, without taking K2, for any length of time, this could be the culprit in why your CAC score is so high. If you are producing more vitamin D than your bones and teeth can use when converted to calcium, then guess where the rest of it goes? It goes right into your arteries. One final suggestion, if your blood level of lipoprotein (a) is high, and I would tend to believe it is, consider taking 500 mg of niacin twice a day. Studies show it can lower Lp(a) levels by as much as 30%. Lp(a) delivers calcium to the blood stream. I am not a medical professional but have studied health and nutrition for years and only refer to published medical reviews to make my recommendations. There are several studies to support this supposition. Look up the site for Dr William Davis, a cardiologist who wrote the book Wheat Belly. On there they will show how to stop the progression of plaque(which the calcium is in). You can then gat another scan and confirm your score is no longer rising(it rises yearly in most people. If you quit making new plaque, the existing plaque hardens as it further calcifies and your risk of a heart attack goes way down. Why did they decide to do an angiogram when your stress test was normal? My score is 548 with 300 in the LAD. My cardiologist says that if my stress test is normal, they won’t do anything further. I suggest that you make an appointment with a different Cardiologist. Then write a letter to that doctor telling him/her about your concerns, questions, etc. Also include a brief explanation of how these other doctors have addressed you during your visits with them. Tell the new Cardiologist that you need to have a doctor that will take time with you and who will answer all your questions respectfully. Be concise and use a polite tone in your letter. Be sure that you mail this letter at least two weeks before your appointment. The week before your appointment call that doctors office to be sure that your letter will be included with the Cardiologist during your first appointment. It is very important that you find a physician that listens to you and treats you with respect. You could also ask your primary physician to contact the other doctor as well. Relax and enjoy life! Dwelling on this could cause you more stress and harm in the long run. I am in the same boat as you, and I am trying my hardest to not be obsessed with the plaque in my heart. I am 71 years of age, and every day that I wake up is a treasure! I wish you the very best. My mother aged 68 is diagnosed with 90% blockage in LAD. She is diabetic for 2 years and has BP for more than 15 years. The doctors aren’t giving an advise whether to go for Bypass or Angio + Rotablator. Can anyone advise me, as i am unable to decide on type of surgery to be done. There is heavy calcification in LAD. Depends on patient risk profile, complexity of disease and available operator expertise. To the Moderator: Where is my post? Cindy, i remember your question and had given it a long answer i believe, there were actually a few questions on this post! The post had been transferred to a new platform i believe and the questions and answers must not have been copied! Ive passed this on to a moderator. Feel free to repost the question in the interim. I just got my CT Angiogram results back yesterday. Total score 179 (With 175 of that in the LAD artery). I am 59 yrs old and Non-Smoker is pretty good shape all of my life. My question is “How much Blockage” is in my LAD artery based on a score of 175? The MESA CAC calculator didn’t address this concern. It only stated my score puts me in the 79 percentile which didn’t tell me much about my risk of a heart attack in the near future. Should I request getting a Stent in the LAD? Why was the CTA performed in the first place? Has any form of functional testing such as treadmill stress test been performed? These are the critical questions. • The coronary ostia are in their normal position. The coronary anatomy is right dominant. • LM and Left anterior descending: There is a soft plaque seen extending from the distal left main to the ostium of LAD, causing 40-50% stenosis in distal left main and significant 60-70% stenosis at the ostium of LAD. Multiple fibrocalcific plaques are noted in mid LAD causing diffuse luminal irregularity and mild areas of stenosis. Distal LAD is normal in course and calibre. D1 is a tortuous branch and shows minor soft plaque in proximal segment and is enhancing well with contrast. •Circumflex is thin branch and is normal in course. There is no evidence of stenosis or plaque. •Obtuse marginal arteries are normal in course and calibre. There is no evidence of plaque stenosis. •Right Coronary artery: There are multiple tiny calcified plaques seen in proximal, mid and distal RCA. There is a soft plaque seen in mid RCA causing significant 90-95% stenosis seen. Mild areas of stenosis are seen in proximal and distal RCA. Few non-obstructive calcified plaque are seen in proximal PLV branch; however, it is normal in course and calibre. Cardiac chambers are normal. • Aortic Valve and mitral valve appear normal. No evidence of cusps thickening or calcification seen. •Aortic root appears normal in dimension. Please see the answer to the same post in the heart blockages section. I am a 65 year old male. I have a history of heart attacks in men in the family on my paternal side. My 1st cousin (age 63) gave me a heads up on heart issues-he’s 5 weeks recovering from open heart surgery (aneurysm of the upper aorta). His father (my uncle) died of a massive heart attack at age 66. My younger brother died 12 years ago at age 51 of a heart attack. I had a vascular ultrasound which was normal except for mild plaque in the carotid arteries. Had a calcium score test done-total score of 656 with 560 attributed to the LAD. Dr. put me on 80 mg of lipitor. I have been on low dose aspirin for 3-4 yrs. Had stress test done today-normal, no irregularities. I see my cardiogist in one month. My thought is to strongly request an angiogram. Am I on the right track? If the stress test is negative, particularly if exercise was used, its unlikely there is a physiologically significant blockage. In that case its difficult to justify angiography as there is no appropriate indication. Read the following articles and see if they help give you insight. The stress test is reassuring and if performed in good hands demonstrates that the blood supply of the heart is likely to be adequate, i’m not sure of the reasoning for the CT scan however it will be more informative in that it will determine the presence of any severe blockages and if normal will be very reassuring. It depends on a number of factors, if looking for presence and extent of disease then CTA will be more informative than a resting echo. A stress echo would show information on effect of any blockages present and need for further treatment. My 60 yr. old husband score is 309, total cholesterol 263, HDL 53, non smoking. Active. The highest number for the score (223) was in his right coronary artery. Is this unusual? We’re very concerned and our seeing a cardiologist. The total score is intermediate risk. If there are no symptoms then its likely no further testing is required and the most important thing is to treat risk factors. Its good you are seeking an evaluation from a cardiologist for risk stratification. PL LET ME HAVE YOUR COMMENTS/ADVICE AS I FEEL SOME CHEST HEAVYNESS AFTER MEALS WALKING DENSE CALCLCIFIED PLAQUES IN CORN ART 7 MULTIPLE STEP ARTIFACT DUE TO IRREGULAR HEART RHYTHEM PRECLUDING LUMINAL ANSLYSISI. Your next step is to go for conventional angiography. You have symptoms and a high risk CT test. I had a Ct scan and my score was 15.7 all in lad. Should I be concerned? Do you have further details of the report? Can the calcium score go down over time with a change in diet and exercise? Or does it just go up at a slower rate than if you did not change your diet and exercise? Great question with no clear answer. Its likely that the disease can stabilize and potentially halt progression with the diet and exercise. Im sure in some people there may be a degree of regression however its not known for sure. My husband age 59 had a total calcium score of 3545. Cardiologist then ordered Spect test. STRESS RESULTS: ECG tracings suggestive of ischemia with a 1-2 mm of horizontal downsloping noted in inferior and lateral leads and 1 mm ST elevation in AVL with exercise and pharmalogical stress. PLANAR/ROTATING IMAGES: Review of free rotating images demonstrated potential source(s) for image artifact(s). Significant diaphragmatic attenuation. MYOCARDIAL PERFUSION: There is a fixed perfusion abnormality involving the inferior and inferoseptal wall(s) consistent with diaphragm attenuation. My concern is the Cardiologist who read the exam has no clue that his calcium score was so very high and he does not think that the ECG tracings that showed a 1-2 mm downsloping and 1 mm ST elevation is important. He was also unaware of my husbands family hx of cardiac disease. Father deceased age 55, M.I. Six of the seven siblings of paternal grandmother died of cardiac related issues. I have my husband scheduled for a Cardiologist 2nd opinion. Are there any questions or follow up testing he should ask about ? Why was the calcium test done in the first place? In general functional stress testing would supersede a calcium score in terms of risk assessment. The regadenoson itself should provide adequate stress. The stress test itself, nuclear portion of it, appears to be low risk. What is the degree of concern regarding the exercise EKG findings and their discrepancy with the stress findings, is it worth repeating the treadmill test to attain a more suitable heart rate? This may be useful if there are concerns about the interpretation of the nuclear stress test. Does he/she agree with the read of diaphragmatic attenuation? What are the best moves in this case to make for aggressive attention to risk factors in patient with stable but established coronary disease. I gave my husband the CT calcium score test for his soon to be 60th birthday. A local Radiology group does the exam on a self referral basis. That is the reason it was done first. I am 43 and a former smoker. I am a little overweight and have very bad panic disorder. I am on a statin – even though I never had high Cholesterol. My calcium score is 199 and I am having extreme anxiety over it. I requested a CTA but the insurance declined it now I am having yet another stress test which always come back normal so far. I have a hard time with the stress tests because I immediately have panic attacks when I go to get them. I am wondering if I should be highly concerned about the calcium score. I am working on losing weight. I am scared to exercise because I don’t know if there is a blockage or not. Non of my doctors including my cardiologist seem to be overly concerned. In general your situation sounds reassuring in that the cardiologists are reassured and the functional stress testing has been normal. CT calcium score does not really supersede functional testing. I recently had a calcium score test done and my score was 199. I have never had high cholesterol. I requested a CAT test but my insurance company denied it. I am scheduled for a stress Echo – my cardiologist doesn’t want to do another nuclear stress test because I am very president that I will get the CAT test even if I have to pay out of pocket. So she doesn’t want to give me all that radiation. I have taken nuclear and regular stress Echo tests in the past and all have come back normal. I do suffer from very bad panic disorder so just taking a stress test is very uncomfortable because I immediately have a panic attack so I really don’t know if the discomfort is from the panic attack or my heart. I don’t really get winded with light cardio. My doctor and cardiologist don’t seem to be to concerned. However, I am a nervous wreck. Here are the results from the CTA. Does this look good? CAT SCAN – Oct 19 2017 11:23AM – CTA CORONARY ARTERIES W CONTRAST CLINICAL HISTORY: Chest pain (symptomatic patient) with equivocal stress test (exercise, perfusion or stress echo). images 3D workstation for interpretation. low 100 kVp technique was utilized to limit patient. My 57 year old husband had mild chest pains. Went to family physician who said it was most likely Acid Reflux and gave him some medication. My husband was still concerned (has high levels of stress) so physician said for $99 he may want to have a CT Scan of the arteries. Score came back 537 with the recommendation to see a cardiologist. Our physician recommends one who is booking out 6 mos! Should my husband seek another cardiologist or can he wait if he hasn’t had any other chest pains? If he is having or had chest pains he should certainly not wait 6 months. Sounds like things are fine. Good general advice is to follow a healthy lifestyle and pay attention to cardiac risk factors. My husband has a family history of heart disease. He is 45 years old and just had a calcium score come back of 97. He had a calcium score of zero 12 years ago. Does it seem strange to have it go up by that much in that amount of time? Besides a family history, he has no other risk factors. He is a very healthy, slim, active 45-year-old. He was on Lipitor for the family history and a slightly elevated cholesterol 12 years ago and has continued to see a cardiologist based on the family history. His cardiologist offered this test as optional right now and said he thought nothing would show up. I think we were all a little surprised to see a score of 97 come back. His cardiologist upped his Lipitor and has him on an aspirin a day now. My husband’s father had his first massive heart attack at the age of 40, and then died of a 2nd heart attack at the age of 55. My husband‘s grandfather also died of a heart attack in his 50’s. Both of them lived very unhealthy lifestyles though. Very different from how my husband eats and exercises. Of course now, I’m concerned about a fatal heart attack because of the family history. Any advice? Any other treatment that we should seek out? The advice is to address cardiac risk factors. I would not worry about the test score, rather would recommend that it is treated as a potential risk marker, just like the strong family history. If symptoms appear then it would be reasonable to perform further testing. Lifestyle, diet, exercise, cholesterol, diabetes treatment or avoidance, statin, blood pressure control and attention to follow up will be the key. Does your Cardiac Calcium Score go down after you’ve been on statins for a while? Or is the damage already done? From information that I was able to find, the jury is still out on whether the calcium/plaque is reversible. I don’t think statins can reverse it. The people who proclaimed to have reversed it have, by their own admissions, done so with a pretty substantial lifestyle change. Coronary arteries: calcium score 295(I live in Canada where test was done). A calcium score of 295 is at the 92nd percentile for age, ethnicity and gender. This score is ontributed by calcified plaque on the RCA, LAD and circumflex arteries but is most extensive in the LAD. I have been on Pravastatin 10 mg daily for several months prior to this CT because a carotid ultrasound showed 50 to 69 % blockage in my right carotid artery. I am also on aspirin 81mg daily and norvasc 10 mg daily. 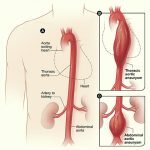 I’m very worried about the extensive blockage in my LAD and am wondering if I should have an angiogram to determine the extent of the LAD blockage and if intervention is required. I don’t want my first symptom to be dropping dead from this widowmaker artery. Can you pleas answer. I’m very nervous about this. My cardiologist didn’t recommend anything except lowering my LDL(which is 3.84 in Canadian units). I imagine its very frustrating to undergo such a test then not be given a clear explanation as to whether you need to worry or not. Its difficult to tell from the report the extent of the LAD disease however this is a calcium score i think and not a CT coronary angiogram. This means that its not specifically designed to look for degree of narrowing. In general if a patient doesn’t have symptoms then further testing should only be done with careful consideration. You clearly have risk factors and treatment with medical therapy is the key, statin, bp control, weight control, exercise, lifestyle, etc. In the absence of significant symptoms it is likely very hard to justify an angiogram and if testing is to be pursued a treadmill exercise test for reassurance purposes may be next. I am a 39 year old male who is in an extremely risk prone profession for both physical harm as well as heavy mental stressors. We were given the option to have a CAC test performed free of charge and I opted to have it done due to having some unexplainable chest/arm/shoulder pains as well as a little family history. I am overweight and do not eat healthy. My BP is consistently within normal parameters. My CAC score was 62.7, with 46.2 being in the LAD and 16.5 being in the RCA. I did have a treadmill based stress test as well as an ultrasound done. Both came back as being normal with the doctor remarking that I appear to have an exceptionally strong heart with fantastic bloodflow. There were no issues with the stress test at all, although I am in the 95th percentile among people my age as far as the CAC score goes. Based on your previous responses, I would assume that as long as I manage risk factors (lose weight, regular exercise, eat more healthy, etc) I “should” be ok. Is that a correct assumption? I’m not prone to anxiety, so I’ve basically just been looking for more information on how to interpret this information, as it really isn’t explained all that well. Based on the information provided, would your recommendation be managing the risk factors, developing a nutritional diet and exercising more regularly? Your explanation was better than the others that I found and I’m sure everyone appreciates your expert feedback. Thank you. I had a calcium score of 1450 and past a nuclear stress test without any problems. I ‘am 59 with a strong family history of heart disease. Should i just get a regular stress test done every year and leave it alone? Or should I be under special care from a cardiologist. I would recommend that you have a good primary care Dr that addressed risk factors and if they recommend then a cardiologist. If you have any symptoms whatsoever or need more aggressive risk factor treatment then a cardiologist may be useful also. Yearly stress tests without symptoms are not recommended in most cases, i.e there needs to be good reason to pursue stress testing and a number of appropriateness criteria exist. I am 54 and have Type 2 Diabetes and overweight. I started an exercise regimen 6 months ago and have lost 35 since but still need to lose ~50 more pounds. I use a c-pap machine to control my sleep apnea. I have never smoked, rarely drink and now exercise for 1 hour 3-5 days a week. No heart disease in immediate family. I have recently seen my GP who recommended i have a stress test and CT Cardiac Calcium score test done. The Treadmill stress test came back normal but my first ever CT CC score came back 113 all in the LAD. I am on a Statin, take a aspirin every day and take Lysinopril for my BP which is also normal. My Diabetes # were bad until about 3 months ago and have been under control ever since. Total Cholesterol is low but good Cholesterol is also low. The Radiology report says i have a n estimated Arterial age of 73 with my 113 score and in the 83rd percentile which are all pretty scary to me. my plan is to stay with and increase my exercise regime, stay on all current meds for my heart and Diabetes. I need to shed the extra weight and make it a priority. any other suggestions? is my CT CC score really that bad? your POV would be appreciated. Sounds like you are doing an incredible job and hitting on most of the risk factors, that will be key in doing well in the long term, keep it up. Its reassuring that the stress test is normal also. Typically the calcium score is done to see how aggressive to be, in this case you are already being aggressive. Someone should be monitoring bp, cholesterol etc. I would recommend that a cardiologist review and then go over the specifics of the scan with you simply so you are well informed. It is great to have this arena to post questions and read other people’s experiences. I am a 54 year old female and take medication for hashimotos, high cholesterol, and hypertension. I exercise regularly and try to eat healthy; I could stand to lose 10 – 15 lbs. My cardiologist recommended a CT scan due to my health issues and family history. My score was an 87 which is is the 95th percentile for females my age. This is alarming to me and confusing, since I am reading that a score of < 100 is mild evidence of CAD. I am concluding that an overall score of 87 isn't horrible, but for my age it is not good. Can you explain ? Is it that if i don't take further precautions it will just continue to get worse? My dr did increase my statin dosage as a result of the test and we are monitoring. CT scores should be treated like any other risk marker, and i find that their best use is to trigger selection of patients that may benefit from meticulous attention to risk factors and detail rather than stoke unnecessary concern. I wouldn’t at all worry about the actual score level. Risk factor modification and ‘medical’ therapy can act to stabilize disease and improve outcomes. There is no recommended role for EECP. The decision to proceed with angiography should be determined by a cardiologist if you are felt to be at high risk and to ensure there is appropriate indication. The stress testing results are reassuring. I just had CT Cardiac imaging, the results came back with a score of 1943.3!, which corresponds to extensive calcification. I take and have been taking statins for 30+ years, have medicated(controlled) hypertension, no history of diabetes, After receiving my CT Cardiac imaging results, I took a CD Stress Echo. The results came back, negative ECG for ischemia with graded exercise, Duke treadmill score of 6, negative stress echo with no indication of inducible ischemia. I am 63 years old. My cardiologist says I probably have plaque all over the place, but no blockages. We are now attempting to drastically lower my LDL. Is there anything that you might suggest? I would not suggest to become too alarmed by the calcium score rather see it as a risk marker and treat risk factors appropriately. The testing that you have had is very reassuring. You have had a normal stress test with an echocardiogram and the normal treadmill exercise test that shows as you are able to do exercise to a good capacity without significant abnormality as far as the testing is concerned. Risk factors including lifestyle, exercise, blood pressure, avoidance of smoking, treatment of diabetes if appropriate, and such things are the most important at this point. Given the known presence of disease the Statin medication is certainly appropriate. 140lbs, 5’10”, eat low fat, low sugar, low salt diet. I exercise some to a lot daily. Before my first MI I played basketball every week for years. No family history of heart disease. I have normal BP. I suffered a surprise MI spring 2016, 99% blocked LAD. Stented. The angiogram also reported no general CAD other than <20% thickening of the adjacent circumflex artery. Fortunately, with determined exercise and staying fit as I am able, my heart recovered decently, although my heart rate gets too high with arobic exercise (running). EF now of 45-50%. Also I take 10mg atorvastatin, 81mg aspirin, and lo dose carvidilol. Two weeks ago another surprise MI, this time circumflex 90% blocked. Second stent. Due to quick intervention, only a mild MI. EF for resting echocardiogram at 50% 3 hours post MI. But the dual stents just below the main artery must heal properly or I face bypass surgery. Here is the main question: I had radiation therapy for Hodgkin's lymphoma 22 years ago. This is a known risk factor for CAD. Would a CT Calcium scan assist in judging the health of my aorta and other arteries? I read that radiation associated CAD can make bypass surgery much more risky due to calcium and other lesions in the surgical areas. I am scheduled to get a diagnostic angiogram in 3 months to check my stents and other arteries. Would the Calcium scan be useful in this context, or a waste of time? Is the radiation from a CT Calcium scan itself a risk in my case? I think it is certainly a valid hypothesis that radiation could contribute to calcification in the generation of the vessels. Yes we certainly do see this in cases of patients that have had radiation can have a more aggressive form of coronary artery disease and calcification. And yes that can be more calcification of the aorta. I’m not sure what role a CT scan would have at this point. Certainly if you ever to have bypass surgery a CT scan would be able to shed light on calcification of the aorta and such and may be more useful at that time. This may be a good question to ask your treating and evaluating physician. With regard to the scan itself I’m not sure that it would worsen the natural history of the disease with the very small Associated radiation dose. I had a calcium test 2 yrs ago when i was 46….It came back with a score of 10, all in RCA….Do you often prescribe ACE inhibitors to help stabilize the endothelium when patients have a calcium score > 0?…. In general would pay attention to controlling risk factors. Blood pressure, cholesterol, lifestyle, exercise, diet, etc. An elevated calcium score is not an indication in isolation to start an ACE. I’ve seen several articles that state a calcium scan can be affected by pulse > 90…Can this lead to false positive?…. I had my husband go for the calcium scoring test because he is 57, overweight and his father had stents early on and has now had open heart at 82, along with his carotid and a heart valve replaced all at the same time! Anyway, his score was 121 with LMA and LAD being the 2 involved. What does the volume130 and AJ-130 mean? He has just started taking HTN med and chol. has been just borderline, no meds. What do you think? The results need to be interpreted within the context of the reference for this report. I wouldn’t worry about the number. In general however, the score is simply a trigger to assess the presence of a disease process and begin aggressive risk factor management which will be the key to preventing events and improving outcomes. function with a calculated left ventricular ejection fraction of 58 %. TID ratio is normal at 0.94.
suggesting shifting soft tissue attenuation artifact. 3. Normal left ventricular function with an ejection fraction of 58%. You have a positive exercise stress test portion of the ekg, the tracings themselves would need to be reviewed to comment, however its very reassuring that you went to 13.4 mets. In general this is certainly not a high risk finding. The perfusion test is also reassuring in that it is not high risk. Of course these decisions need to be made with a cardiologist that is actively managing this case as the symptoms need to be taken in to context. In general for such findings in disease considered stable, medical therapy would be tried in the first instance. Thank you so much and for taking the time to respond. Hello, I am 50 years old and I have family genetic high blood pressure, and I just had a CAT scan with fluid done on my heart. They said they found mild calcification in different spots but all the arteries they said were widely patent and normal. Does this mean I’m going to have a heart attack or be put on a statin for mild and no blockages? Or is that such a small amount that I can just make substantial Lifestyle Changes like exercise more and eat salads and healthy foods everyday. I also have high anxiety with this and my doctor is not giving me straight answers. It kind of concerns me that something so serious nobody has contacted me in 2 weeks. I guess if there was anything really wrong they would have never let me out of the hospital and put a stent in me or some kind of other practice that would have stopped any kind of death situation I’m sure. So what does actually widely patent mean on all my arteries greater and all the rest of the ones that they had.? They said they only found mild calcification but no blockages,no dissection and no heamatoma or Aortic aneurysm. Thank you so much your insights are so fantastic I appreciate it. Thank You. 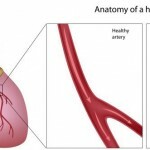 The test does not demonstrate that there are any totally blocked arteries that is good news. The presence of calcium can be used to begin the process of risk factor management and treatment. Preventative measures for the stabilization of disease. Cholesterol, diet, lifestyle, diabetes/smoking, blood pressure etc. I had a CT calcium test and the first year it was a 0 the second year it was a 4 the third year it was 0. I can’t find anything saying you can change that much that fast. Is the test wrong for the second year? Can anyone change that much in one year? I’m 53 and weigh 172 lb, never smoked, hike several miles a couple times a month. My father passed away at age 62 from a likely massive heart attack. My blood pressure with Losartin and Amlopodine is in 135/85 typically, and I am on a statin. At my last physical in February, I had avoided the statin for a couple of months and had been trying an Atkins diet since August 2017 and lost about 18 lbs to my present weight, sort of to see if my cholestorol was ok. It had increased to in the 160’s. I had also had a couple of high heart rate with enough fatigue to lie down when hiking about 8 miles up hill. The guys I hike with are older than me, one had previous bypass, and they had no problems and suggested I should get this checked. My primary doctor sent me for a nuclear stress test, chest xray, and ultrasound. I was also referred to a cardiologist after these. The cardiologist said that I did well on the stress test walking for 11-12 minutes and my heart rate and blood pressure did as expected/normal, but there was a report of something in an image that might have been an artifact. In view of my family history, and perhaps that anomoly/artifact, and my previous hiking issue, they recommended that I not hike and have a cardiac catherization angiogram. As this is invasive, I went myself to a diagnostic center and had the calcium scan. This came back with several 0 scores, a 1 score, and a 40 score in the LAD with an overall score of 41. Now I am concerned that my scores are low, but appear concentrated in one artery. I also have been feeling a pressure that is really hard to define/describe at the base of my throat (not inside of my throat). Not sure if I am imagining things now…any advice on whether the risk/cost of the angiogram is really warranted? I cant really comment on the scan without seeing it or knowing the full clinical situation. What i can tell you is that 11-12 minutes on the treadmill with no significant EKG changes or symptoms is very reassuring. I recommend that if uncertain, you obtain a second opinion on the need for cath or review of the nuclear films. High risk clinical features, imaging features or such would be a rational to proceed to cath. Have you done testing such as an exercise treadmill test? I have a calcium score of 1168 with zero blockage. I had a nuke stress with said results. I’m 47 and I have had 3 CT scans with my first in the 40’s to 1168 on my last in over a 9 year period. I’m interested in participating in a calcium score study if you know of any please forward my info. 49 year old male, did a calcium test a week ago and my total score was 16. Three of my arteries were 0. My blood pressure is usually 110/60 and resting heart rate is around 55. I walk/run about 15 miles everyday. I’ve had high cholesterol for 15 years and did a stress test two years ago and my arteries were free of any plague. Any concerns? Sounds like your’e on the right track. During my routine cardiologist appt a few weeks ago my dr. recommended a CT scan. He called the following day when he received the report, total 1014, with RCA at 579 and LAD at 354, LCX at 56, LMA at 25, I had a subsequent stress test with good results. Reviewing many of the studies regarding the relationship between CAC and heart disease has me rather alarmed. Numerous large studies indicate that scores over 1000 (in asymptomatic subjects) correlate to serious cardio event risk of 20-25% within one year, and that with over 400 scores there is a 90% chance that there is at least one serious blockage (70%). My cardiologist told me to call if I have chest pain or shortness of breath and he’ll see me again in 6 months. I am concerned with the short term risk. My father called his cardiologist a few days before a scheduled appointment and was told to wait and 2 days later was dead from an MI ( I had the privilege of finding his body and it left quite an impression on me since I was only 15). This is creating a lot of anxiety for me. It seems that my doctor is not being aggressive enough. He did not recommend any lifestyle changes or anything, just “see you in Nov.” Given my family history and these test results I am extremely uncomfortable. I have already scheduled a second opinion but am wondering if I am overreacting. The stress test is more telling in terms of the physiologic significance of the lesion. If the stress test is normal and there are no high risk symptoms, then its difficult often to justify more invasive testing. The calcium scan is used to determine how aggressive to be with risk factors. in your case with the high risk history, we would be aggressive with risk factors anyway so one could argue the calcium scan is essentially useless. Also the risk you quote of events is not accurate, no wonder you are anxious, it is nowhere near that. My recent ctca showed calcium score 2.2 with 10 percent occlusion in LAD. Do I need stations? I am 61 yr old female. I have him of 32. I eat healthy. Most cardiology guidelines would recommend initiation of statins at this point. Recently had CT Scan total 172. But 132 is in the LAD and 40 in another location. Can you tell me what this means? diet , lifestyle, exercise, blood pressure, cholesterol, good primary care dr, recognition of symptoms. I have many positive signs—I am a 72 year old man , 6’2′ about 220 pounds with BP of 110/70, total CHO of 140, LDL of 44, HDL of 69, excellent EKG tests every 6 months, fine street tests, but have a high CT score of 447 with 19 in the LM, 71 in the RCA, and 357 in the LAD———–I am concerned about the high amount in the LAD and wonder what and how important is this? what is the fix to this problem? Thanks very much for your help. Stress test being ok is reassuring. Important to focus on diet, exercise, lifestyle, cholesterol, good primary care. Control of risk factors such as diabetes, smoking, hypertension. My husband is 67, 6’2″, weighs 205, proper diet and exercises daily. His coronary calcium scan came back with LM at 4.0, LAD 720.1, CX 2.1 and RCA 3.1. His primary is sending him to a cardiologist at the end of the month. The primary said she had never seen such high results before but I see others have higher ones. I noticed the report says three for the number of lesions. Is there cause for concern? The main role of the calcium score is risk assessment, as in it pushes people to aggressively treat risk factors. In some extensive cases it may lead to use of stress testing of other, although generally not in asymptomatic cases. If there are symptoms, stress testing maybe pursued. The key is, treat risk factors as in blood pressure, smoking, diabetes etc, and improve lifestyle, diet, excercise etc. With a total Agatston score of 86. I am 41 Y/O male with history of borderline high lipids and am on 40MG Simivistatin and 145MG Fenalfibrate for 12 years. Normal weight and BMI ect..
I’m thinking, from reading the other posters score’s, that they made a mistake and I should have a calcium score of 6. I am going to call to find out but wanted your opinion. Thanks! Hello – I’ve had two CT w/ Contrast, one in 2014 where my calcium score was zero and then again this year where a calcium score wasn’t designated but the radiologist noted mild to moderate calcification in the right coronary artery. I have bicuspid aortic valve which so far is asymptomatic and the reason for the CT scans. I’m 42yo, 5’9″, 185lbs, in reasonably good shape. I exercise multiple times per week. My lipid profile is all good. My question – How could I have zero calcification 4 years ago and develop mild to moderate calcification in such a short time? Depends on may factors such as the scan used, the interpreting software etc, then of course the possibility of developing disease. I would start by having them compare scans if you want the answer to the initial possibility. Do you think more advanced lipid tests like the APO-B (Quest reference range 52-109), and LP-PLA2 Activity Test (Reference range: 70 to 153) are better indicators of heart health than standard lipid profiles for someone with a low calcium score say 0-20? I had a CT scan done in Oct. of 2017 during an ER visit for a kidney stone which passed while at the hospital. I subsequently underwent surgery for hyperparathyroidism, with calcium levels subsiding to normal afterwards. But I noted from the Radiologist’s notes that he/she observed “scattered calcifications” in the aorta. Is there a way to classify that kind of thing? Could someone look at the CT scan imaging and do a more accurate classification based on it? Or would I need to have another done specifically to obtain a classification? No likely further information would be gained from further classifying this. If there are symptoms, some form of functional testing such as stress testing may be in order. It will generally center on risk factor assessment and modification. Blood pressure, atherosclerosis, lifestyle, evercise, diet, diabetes, smoking etc. I really appreciate this site where it seems you are providing well-informed and thoughtful answers to questions that for whatever reason, most cardiologists don’t seem to discuss in detail. My doctor recommended a cardiac CT based simply on my age (60) and history of familial heart disease. The score was very alarming to me: 652 (LAD 336, RCA 316). I have read that this gives me a 25%+ chance of a heart attack over 10 years. I was then sent for a “Exercise Myocardial Perfusion Imaging” stress test, on which I achieved 100% of max hr over 15 minutes and no ischemia found. EKG also fine. In other words, normal results. I already ate well (vegetarian, plant-rich), my LDL was 73 and HDL 67, HDL 73, and 3 C-Reactive protein tests over 10 years all were 0.02 or less (I have been on lipitor, baby aspirin, and BP meds for 15 years). I have been focusing on increased exercise (now twice a day instead of previous once), and mostly vegan cholesterol-lowering and inflammation-preventive foods. I have a waist of 33in and weigh 74kg, BMI under 23. In short, I was already doing most things right but am trying to do whatever I can to mitigate risk. My doctor increased the BP meds a little, and left the lipitor where it was due to low C_Protein result. My questions are nevertheless many. 1) With all these positive results and lifestyle habits, am I in fact at very high risk as indicated by the CT score? 2) As I understand it, a stress test can identify blockage over 70%. Presumably with my CT score of 652, there IS some level of blockage. Is there no rule of thumb to relate CT score to likely % blockage? 3) I have many friends who never did CT but then had symptoms followed by angiograms showing high blockage of coronary artery(ies), and stents or bypass. Would they most likely also have high CT scores if tested, or am I actually in worse shape than them? If so, why? 4) It seems intuitively to be crazy just to wait for symptoms, which might be fatal. But that’s exactly what my cardiologist said to do. Does that make sense to you? Why not be more proactive with, for example, angiogram? Honestly, I do get chest twinges sometimes, and now I’m second guessing each one to see if I should go to the hospital and report symptoms, even if that doesn’t feel totally honest. 5) We live in the country, and emergency services usually take a while to reach us. My cardio said not to bother to get a defibrillator and he did not want to give me any preventive “just in case” medicines such as nitro. Do you agree with him? Why not take these precautionary measures I wonder?? These are the questions I ask myself. I’m very grateful for any responses you may have. I think all of us want to educate ourselves more about this frightening condition and really understand the advice and treatment we are getting. My moms calcium score is given below. The reason the test was done is because there were calcification on her diagnostic mammogram. She sometimes does feel dull chest pain that lasts a day or two and goes away on its own which she thinks is due to GERD. She has diabetes, high blood pressure and iron deficiency. She does take rasuvastatin and baby aspirin and nexium for GERD. She also has pain on both of her legs , and they also found three 5mm pulmonary nodules that showed up on EBCT. Please advise if she needs further work up/stent etc. This depends on the type of scan used. In general i would advise she is seen by a cardiologist and risk factor modification stressed. The decision to perform further tests at that time can be determined however in the absence of symptoms it is unlikely. Not seeing my post, what happened? Four years ago, just to be proactive, I had a visit with a preventative cardiologist (at a major teaching hospital, and met with the head of preventative cardiology there). I have little family history of heart disease, but my cholesterol runs around 270. I was working out regularly, eating an average diet, was not overweight, didn’t drink or smoke. He examined me, and when he was done, he indicated that I did not have any signs of heart disease. He gave me a script for Crestor 20mg and that was it. While I was pleased, before I left, I asked to have a cardiac calcium ct scan performed (a friend had been unpleasantly surprised by his test results, and I wanted to be sure). The Dr agreed, and I had the test done that day at that hospital. One my way home, the Dr called me sounding upset. I was informed that my score was 1030 which was really bad. I was told to get baby aspirin right away and that I needed to come back in a couple weeks for a stress test (with ultrasound performed on my heart before and immediately after the test). I did stress test there, and after a team reviewed my results, I was told that I did fine with no issues. Then over the next four months I started getting tired. I could do any vigorous exercise for five minutes, but then had to rest for a minute or two. Then I could do it again. I was working out with a trainer for one hour a couple of times a week and also running. I complained to the Dr about being tired and he kept dialing back my Crestor (Lipitor made me very tired when I tried that a few years back). So that was four years ago. Now with 20mg of Crestor and Zetia, and working out 3-4 times a week, my cholesterol went from 270 down to 110. I biked 160 miles this summer and feel great. The high score still worries me, but my LDL is below 70 and my understanding is that can help stabilize my plaque. Without asking to have that test, I would probably be dead. I feel very blessed 😃. So, do I still worry? Yeah, but not too much. Any time I tell someone in the medical profession my calcium score, their eyes get wide. I’m concerned that I can still get a plaque rupture, but I’m trying my best. Hello, just curious if anyone else has had low calcium scan scores and had a heart attack. I am a 49 year old male who had a calcium scan done 3 years ago, my score came back at 0.8. I was at higher risk due to high cholesterol, being overweight, and a former smoker. In the 3 years since this test, I haven’t smoked, I have eaten better than I have my entire life and lost 45 pounds. I just had a mild heart attack that required 2 stints. None of my doctors have been able to explain this. Unfortunately this underlines the fact that there is no perfect test to predict heart events. Its why its critical to still pay attention to traditional risk factors. i am 55 with family history of heart disease. Had a bout of afib and cardiac conversion to correct it. I am overweight, slight high blood pressure and taking Tenormin 50 mg 2x daily. I had a echo cardiogram that came back normal and then a CAC with a score of 500. How should I proceed? Really dont want to take a statin- am planning to correct my diet and start an exercise plan. In the absence of symptoms its not certain further imaging testing is required. In terms of the statin, its still somewhat debatable but many practitioners would advise initiation of one. TC=159, HDL=56, TRG=65, LDL=90 non-HDL=103. I am not overweight and blood pressure is normal. I also do walking quite bit and try to do hiking once in every 1-2 weeks. I went to see a cardiologist today and he recommended me to take Crestor. Based on the above information, do you think it is needed to take Crestor. I mostly worry about side-effect over-weighs benefits. The CT scan suggested, as with many people the presence of a process felt to underlie vascular disease that can progress in the arteries. Its at this point critical to treat risk factors, exercise, diet, non smoking, treatment of blood pressure and such. Most doctors in this setting would recommend medication such as a statin also. Thanks. Appreciated your quick reply. Not sure if you are still following this Dr Ahmed, but I have a general question. Would a Calcium SCAN benefit a person that already has medicated stents ? Everything I have found just says ‘no benefit’ is gained since the person already has heart disease. If a person with stents did a Calcium SCAN would the results be skewed or could Calcium SCANs be used to see if Diet/Exercise is helping reduce the calcium? If there are stents already then it already tells us that the person should be on maximally tolerated medical therapy. This is amazing reading all your advice and I thank you for it. I have been very anxious as I have a young son. I am 63 years old (male) and had a reading of 1200 mid last year. My LDLs are now down to 1.3 and HDLs up to 2.2 (Australian figures) achieved by going full on the Mediterranean Diet as well as 20mg of Crestor. I keep reading about the high percentage chance of an event with a reading like this with sudden plaque ruptures etc. I have seen a cardiologist who assures me that I am not a time bomb but make lifestyle changes which I have. I have 30% blockage in a heart artery not requiring a stent. I also had a stress test on a treadmill prior and there were no issues. I am now undertaking a walking program – I have lost 9kg and probably need to lose another 6 or 7. Do you have any feedback for me or advice as what you are saying on here to other users is the best and most comprehensive I have seen anywhere. Thank you so much for sharing all this. You’re doing exactly the right thing. Is their any nexus to cardial arterial calcium and caroted artery calcium build up? meaning if their was a high cac score, is that likely to suggest their is more potential risk of their being a high calcium build up in the neck artery also? ( which could lead to a stroke if not remedied, separately and independently from the cac issue, or synergistically together)? Is their any nexus between cardial arterial calcium and caroted artery calcium build up? meaning if their was a high cac score, is that likely to suggest their is more potential risk of their being a high calcium build up in the neck artery also? ( which could lead to a stroke if not remedied, separately and independently from the cac issue, or synergistically together)? Same underlying process for both. So having one increases probability of having the other. I had a CT calcium scan done in 2008 and the total score was 101, with a score for the LAD of 76. So I decided to have another scan on February 20 and the total score has gone up significantly to 442. I’ve been mostly vegetarian for my life, consuming dairy, eggs, cheese, some wild Alaskan salmon that i catch myself. I found a risk calculator online and I put in all my information: age 58, score 442, blood pressure 115, Cholestral 206, HDL 45, Non smoker, non-diabetic, and my father had two heart attacks and major bypass surgery, but lived to 85 when a stroke got him. The risk score for an event within 10 years was about 15%. I’m not overweight, BMI about 22. Should I see a cardiologist? Our local cardiologist is Romel Wrenn, a vegan. Or should I start out with an internist? Two years ago I became mostly vegan myself since my wife had gone vegan. Over the past ten years I’ve noticed a rather dramatic drop in my stamina. I do cross country skiing in the winter. Ten years ago I could do a ten km very hilly course in about 45 minutes. Before I went vegan I had trouble doing the same course in 75 minutes. I’m better now. I did the same course this morning in 61 minutes. In the past six months I have increased my consumption of vegetables and reduced my intake of processed food. I am also following Dr. Satchin Panda’s Time Restricted Eating. Also I do intermittent fasting. I did a 4 day fast in December and a five day fast in January. I’m hoping to substantially lower my CT calcium score. Maybe I should see a cardiologist or an internist? Maybe get a stress test? I think it’s reasonable to see a cardiologist if you have access and discuss risk factor testing and maybe the utility of a graded exercise test. Thank you for all the helpful information on your website. I’m researching heart disease because my mother has been having chest pain recently. My mother is 83. She had been waking up 2-3 nights a week feeling chest pain. This pain would subside within an hour. Her doctor ordered a coronary calcium test and echocardiogram. Her coronary calcium score was 679. Her echocardiogram was normal. Mom was referred to a cardiologist who gave her several options: 1. Have an angiogram. He said that if he found a problem during the angiogram he could correct it by placing a stent. 2. Have a nuclear stress test. 3. Take medication (a beta blocker) to see if it helped and then come back in a month or two to discuss. Mom chose to take the medication and to have the nuclear stress test. Mom has been taking medication for 2 weeks and she is having fewer incidents of chest pain. If Mom had a positive stress test, what would they do for her except possibly placing a stent (which I’ve learned is not a good idea except during or after a heart attack)? If Mom has a negative stress test, I’ve read that this would not be reassuring since it is often the arteries that are not significantly narrowed that suddenly become blocked and cause a heart attack. I also think that Mom would see a negative stress test as evidence that she doesn’t have much of a problem. I think she does have a problem that requires medication and lifestyle change no matter if the stress test turns out positive or negative. Under these circumstances, would you recommend a nuclear stress test, or would you recommend continuing on the medication and implementing life style changes (diet and exercise), or both? Thank you. The first thing to do here is make a diagnosis of stable vs. unstable angina. If diagnosed as unstable, and your mother living a good quality of life otherwise prior then in most cases angiography would be advised. Stress test in general isnt performed in unstable angina, not because its necessarily dangerous, rather it doesnt typically negate the need to proceed with angiography. If significant blockage seen and stent needed, if the diagnosis is unstable angina then its felt to be a good treatment, this is not similar to having stable angina where a trial of medicines should be attempted in most cases. In the case of stable angina the situation is much more stable, the treatment strategy often favors medicine in the first instance. I just had a CT Cardiac Angiogram with IV Contrast. My AV calcium score was 365.5. Does this mean moderate calcification? My Coronary artery calcium score is 22. Could that number be correct if I have 40% blockage in LMCA? If depends how and where it was read and the standard.